Marcia Newman is a physician consultant, executive coach and serves on the Advisory Team for VITAL WorkLife. She brings over 25 years of professional experience and over 3,000 coaching hours in strategically maximizing performance and growing leaders through coaching, consulting, training and inspirational speaking. She has worked with many physicians, medical professionals, practitioners and medical organizations helping them to regain their center in life and work in an ever-changing environment. She understands relationships. Highly referred, she will help you find solutions to the challenging issues you face. From a strategic holistic perspective, wealth of experience and with great encouragement, Marcia will bring you back to the “why” of what you do. 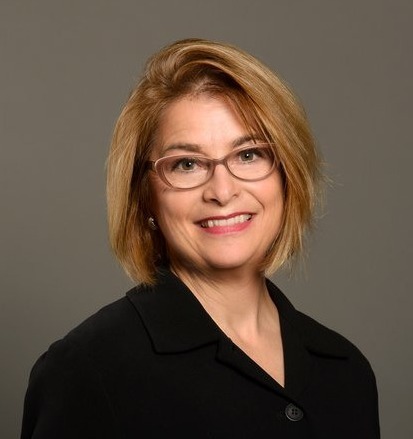 Ms. Newman received her Master’s in Organizational Leadership from Gonzaga University, a Leadership Studies degree from Purdue, is a Certified Professional Coach and Certified in Coaching, Training and Consulting. She has been a VITAL WorkLife Executive Coach and Consultant for over a year. Along with being Principal of her own firm, Marcia is also a licensed facilitator for the Coaching Clinic and has taught Coaching and Leadership classes at both Purdue and Butler Universities. Formerly, she was a Director and Speaker for a national leadership organization and co-owner of TeleServe Communications in Indianapolis for 15 years. She is certified in Servant-Leadership, the Twelve Steps of Customer Trust, Leadership Challenge and Identity Mapping. For more information, visit her website: marcianewmanassociates.com.